More than 250 people gathered at the Panorama Room of Pier Sixty Six Hyatt Regency on February 17th to celebrate the Diva Impresario Awards Luncheon. 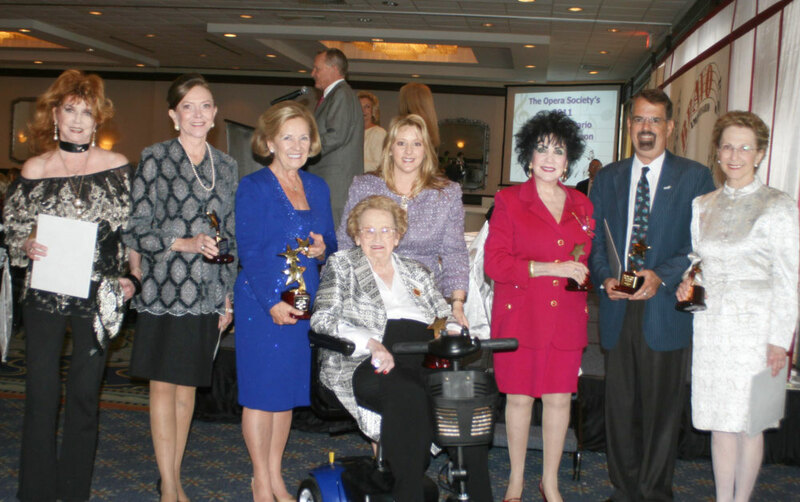 Established in 1994, the luncheon recognizes outstanding supporters of Florida Grand Opera. Society President Gloria Kline, Chairs Linda Balent and Barbara Parent and Event Founder Barbara Copanos welcomed the attendees to a champagne reception and silent auction featuring beautiful items from Daoud’s Fine Jewelry. The luncheon began with a wonderful vocal presentation by the Florida Grand Opera Young Artists: Daniel Shirley, tenor; Jonathan Michie, baritone; Courtney McKeown, mezzo soprano and Rebecca Luttio, mezzo soprano, accompanied at the piano by Ashley Vazquez, apprentice coach. Two lucky winners of the Opera Mystery Music claimed their prizes from Justin Moss and Linda Grabowski. Roger and Isobel Sturgeon then challenged the guests with a proposal to match pledges made to Florida Grand Opera at the luncheon. Many pledges were made and the challenge was matched! were celebrated with a video photo program of important events in their lives presented by David Yuen and narrated by Justin Moss. After the video presentation, the lucky winners of the Raffle drawing claimed their prizes. It was a lovely afternoon for all. Thanks to Betty Young for her great photography. Enjoy the photos!